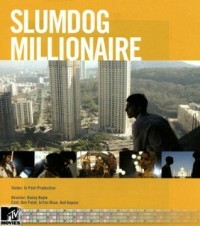 While Danny Boyle is not unfamiliar with more personal drama and comedy (eg. Milions), it almost seems like a disappointment he's going back in this direction considering his growing library of fantastic genre film. Too bad I don't get to pick his projects, but anyways, we certainly can't ignore any film of his, at least at this point. "A comedy centered around an illiterate kid who looks to become a contestant on the Hindi version of Who Wants to be A Millionaire in order to re-establish contact with the girl he loves, who is an ardent fan of the show." Yup, a romcom and a drama and it'll be having it's world premier at TIFF. Sorry no trailer or anything yet, just the poster.